Academics and policymakers are increasingly interested in summarizsing the literature on complex questions that have been considered from different angles by different groups of researchers. 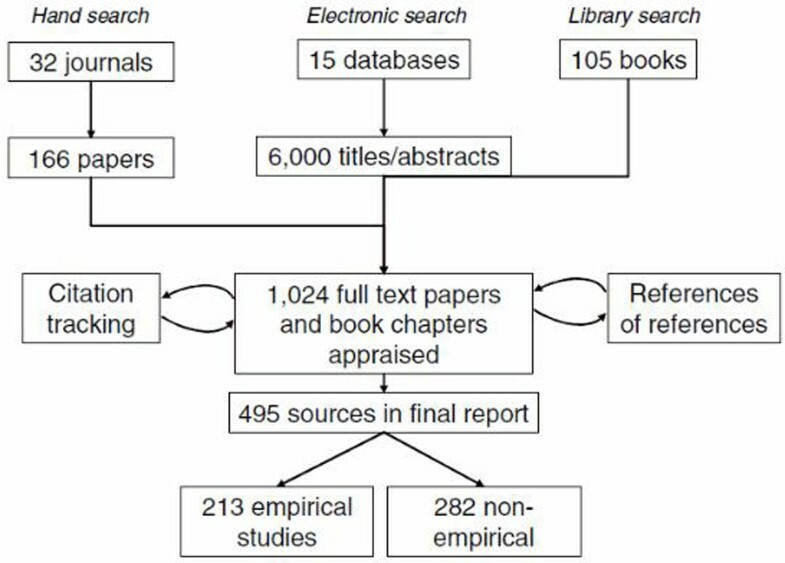 The field of secondary research is expanding rapidly. A number of relatively new approaches are available to those seeking to undertake 'mixed method' literature reviews that combine qualitative and quantitative evidence, explore the nature and impact of complex interventions, and identify the mechanisms by which programs achieve their goals (or why they fail to do so) [1–3]. These approaches seek not only to address the questions 'what works?' and 'what is the effect size?' 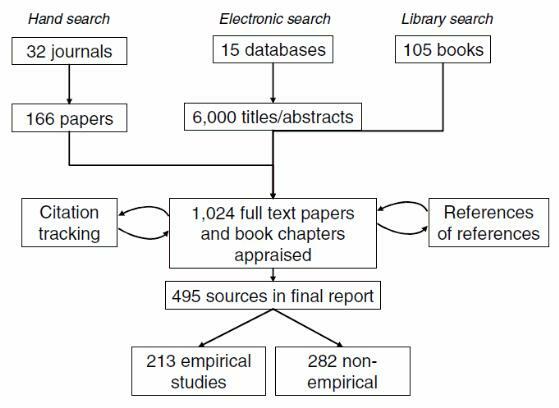 but to illuminate and clarify a complex topic area and highlight the strengths and limitations of different research approaches to that topic . One such approach is meta-narrative review.